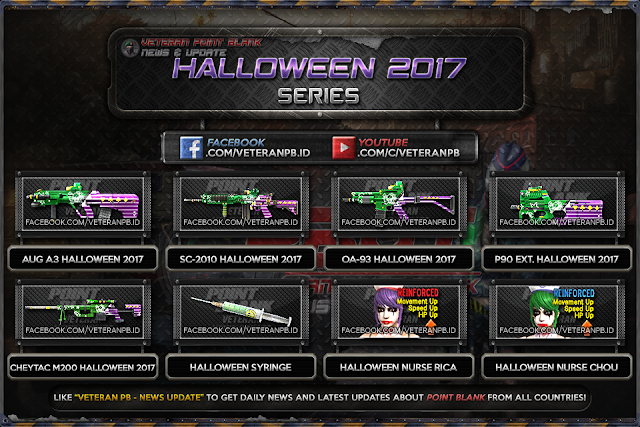 Hello everyone, at this time I will share about Halloween 2017 Series Point Blank Garena Indonesia (PBGI) for Counter Strike 1.6, Condition Zero, Counter Strike Point Blank, Counter Strike Revolution and Counter Strike Extreme. 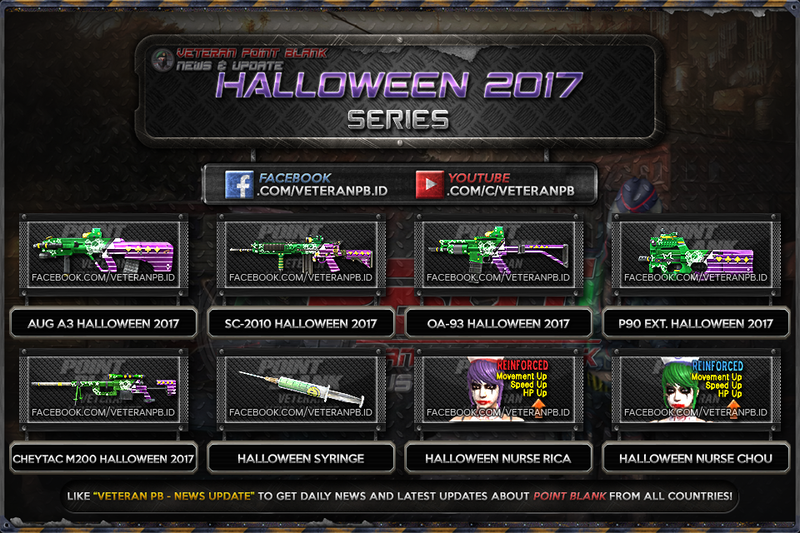 Halloween 2017 is made to celebrate Halloween's Day in October 2017! Eleminate your enemy with this special series, with Skull effect! Halloween 2017 dibuat untuk merayakan Hari Halloween di bulan Oktober 2017! Habisi musuhmu dengan seri spesial ini, dengan efek Tengkorak! ฮาโลวีน 2017 จัดทำขึ้นเพื่อเฉลิมฉลองวันฮาโลวีนในเดือนตุลาคมปี 2017! กำจัดศัตรูด้วยชุดพิเศษนี้ด้วย Skull effect! Halloween 2017 é feito para celebrar o Dia das Bruxas em outubro de 2017! Elimine o seu inimigo com esta série especial, com efeito Caveira! caracter nya gak ada gan ? ngeganti atau nambahin senjata nya gimana bang ? tinggal replace sama kayak cspb atau gimana ?